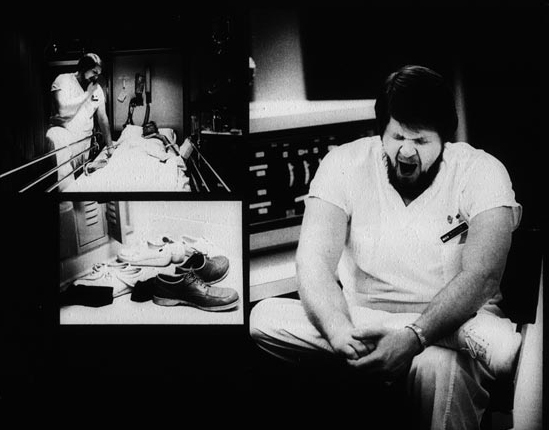 Male nurse Bill Ritchie expresses concern over a patient and takes a well deserved yawn at the end of his ten hour day. His oversized street shoes in the nurses locker room stand out from those worn by his colleagues. Bill Luster, "A Man as a Nurse, An Uncommon Role," in POYi Archive, Item #11905, http://archive.poy.org/items/show/11905 (accessed April 18, 2019).